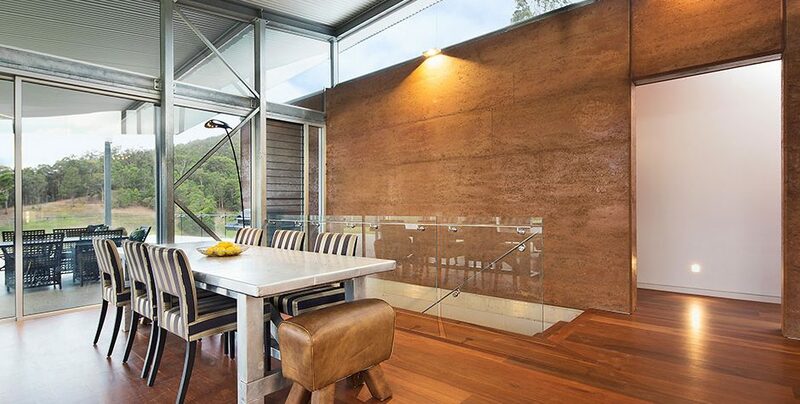 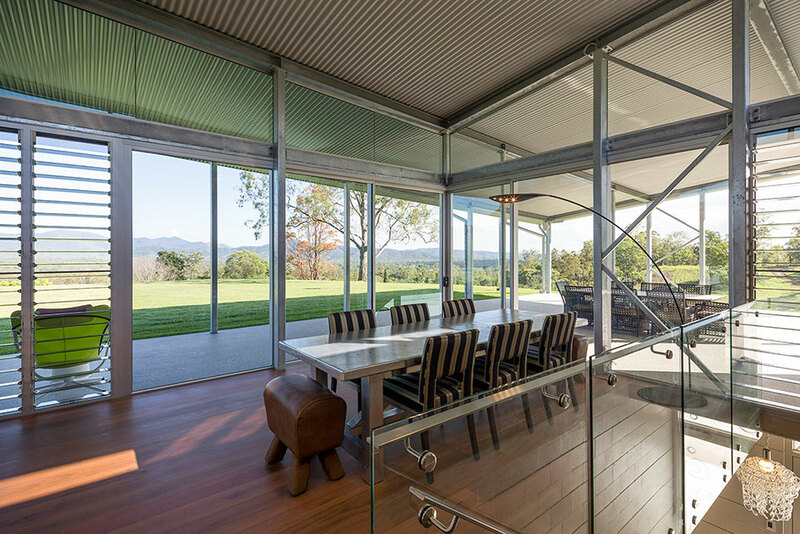 Corrugated iron or Custom Orb as we know it today ranks highly as one of the building materials that underpins the Australian vernacular. 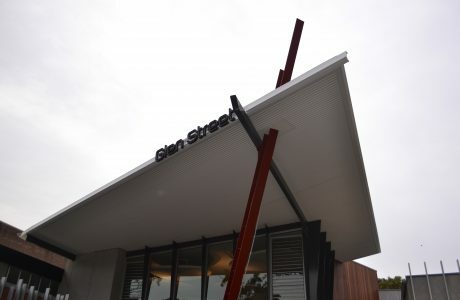 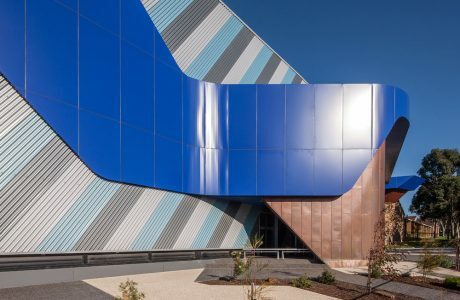 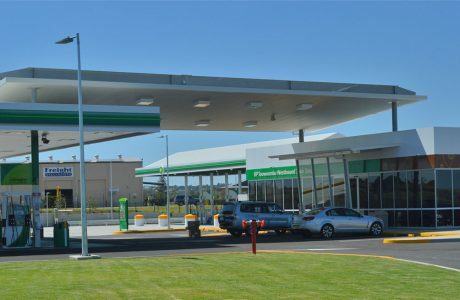 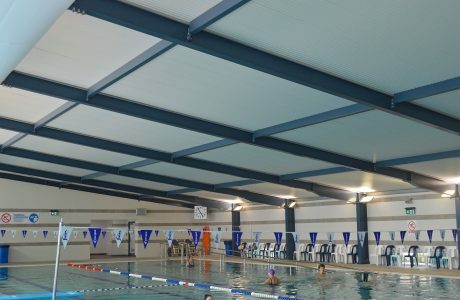 Use of this material today in structural insulated panels & applied in modern Australian architecture challenges its historical application with outstanding results. 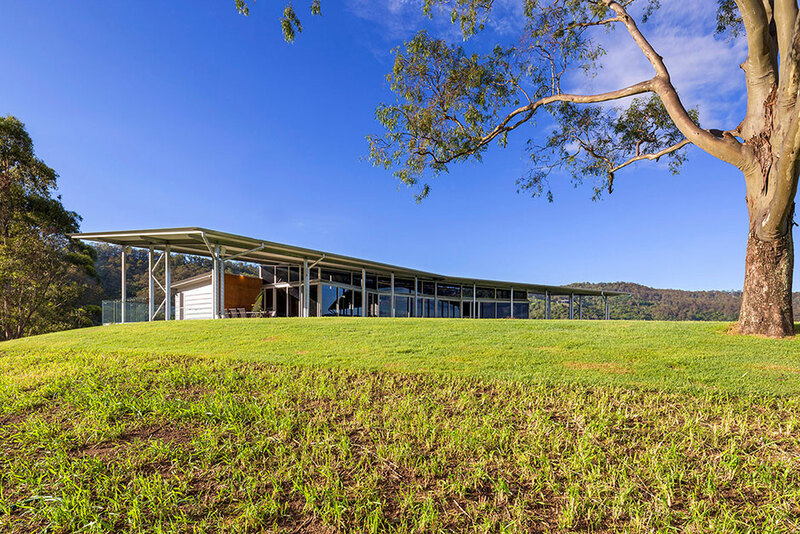 Designed by Paolo Denti and his team from PentArchi, this stunning farmhouse at Camp Mountain is built for the future with sustainability at its core. 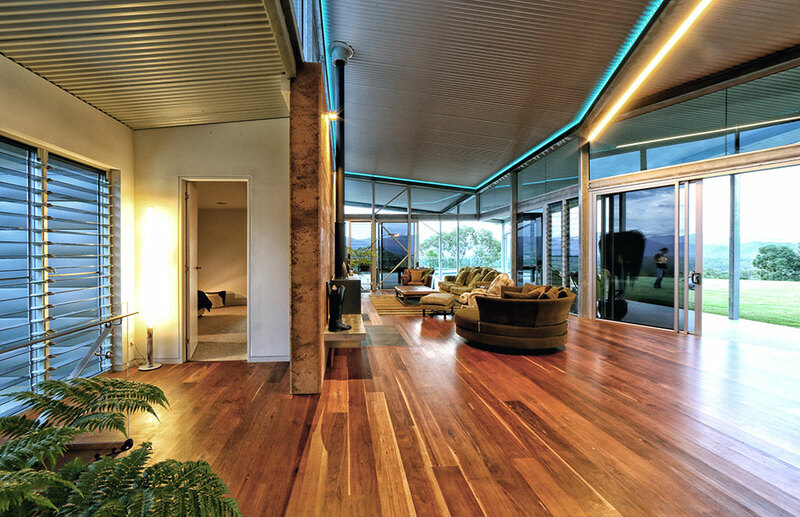 Paolo says the brief from the owner-builder was to have an energy efficient, modern rural residence. 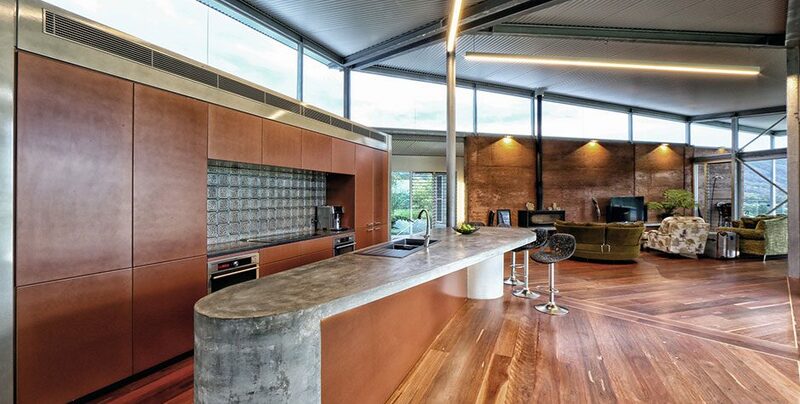 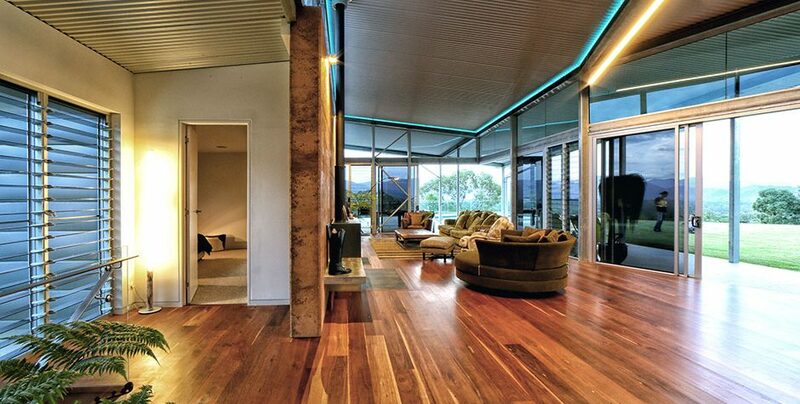 Paolo and his team met the challenge of creating a home that is green and clean. 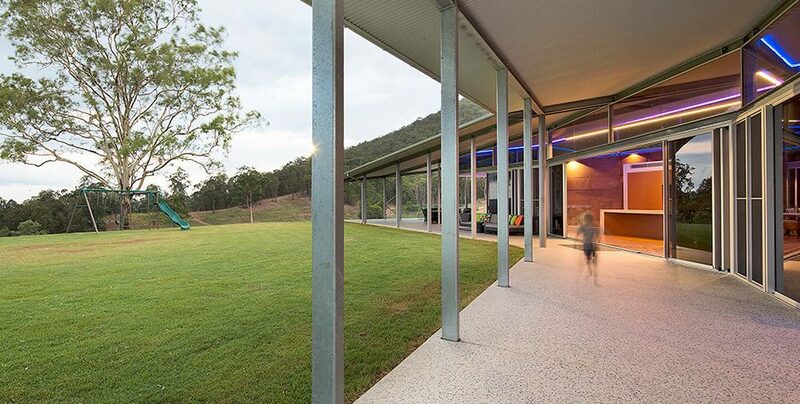 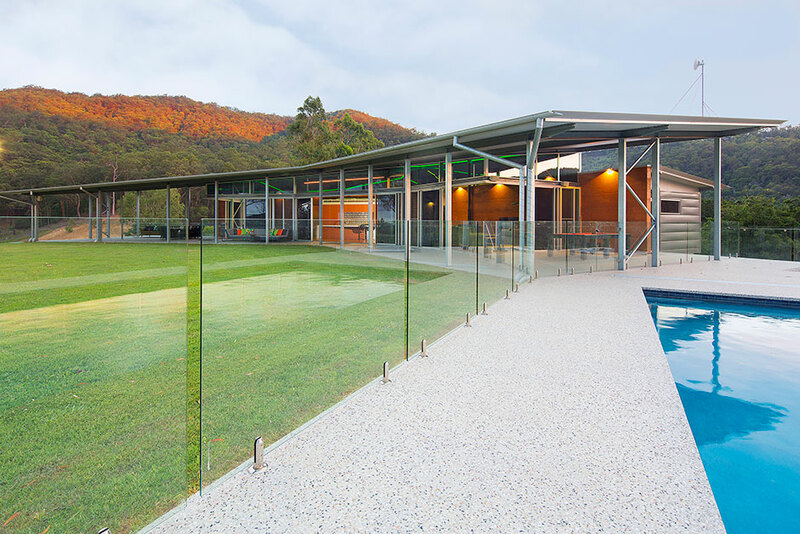 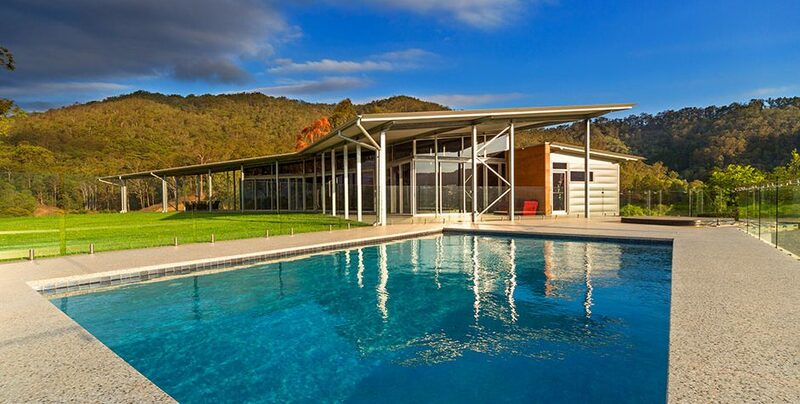 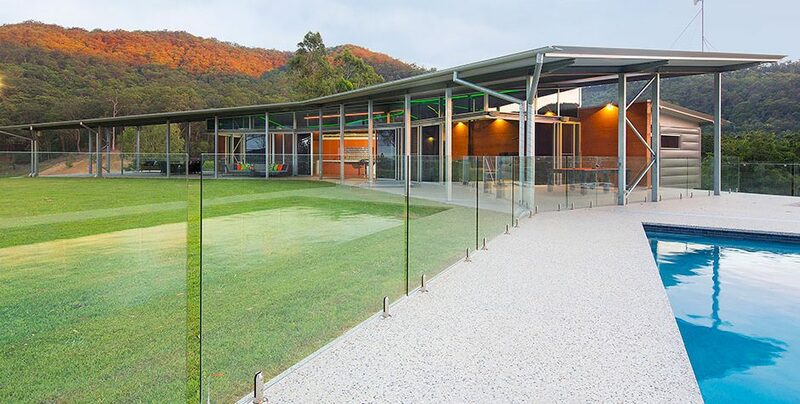 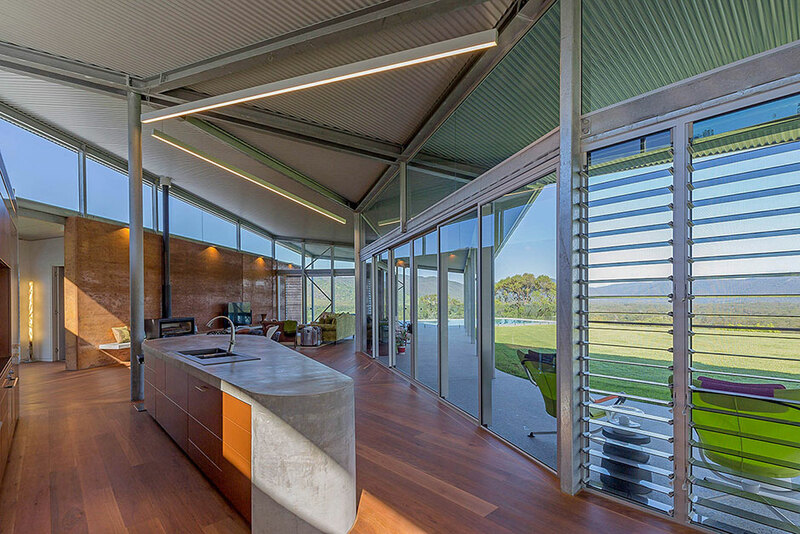 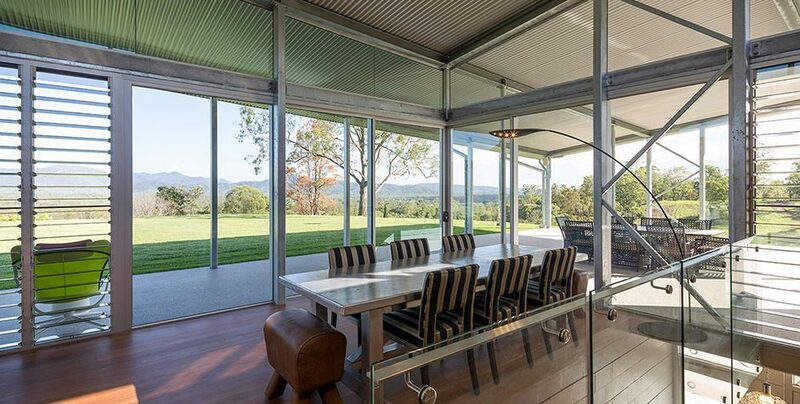 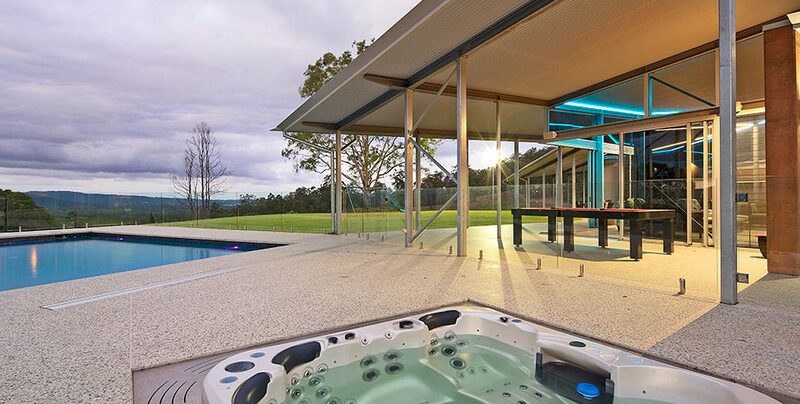 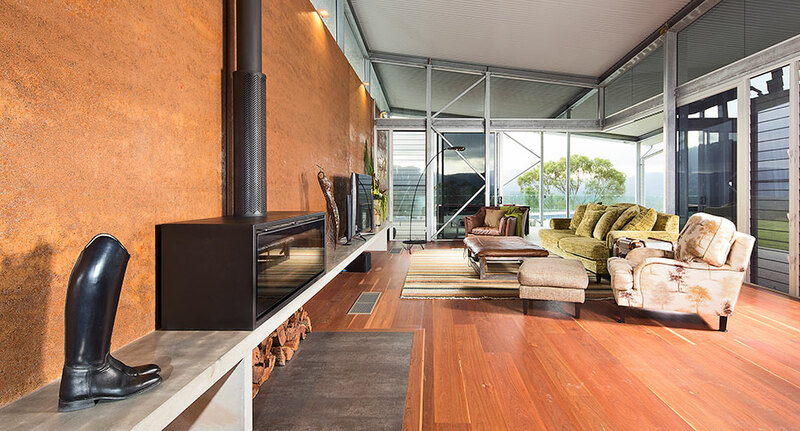 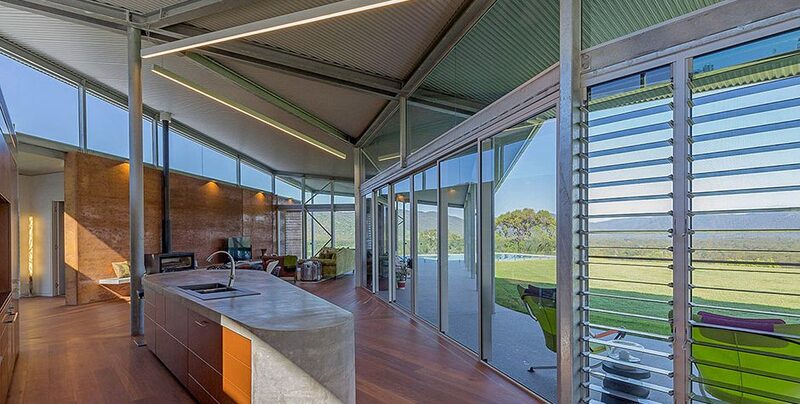 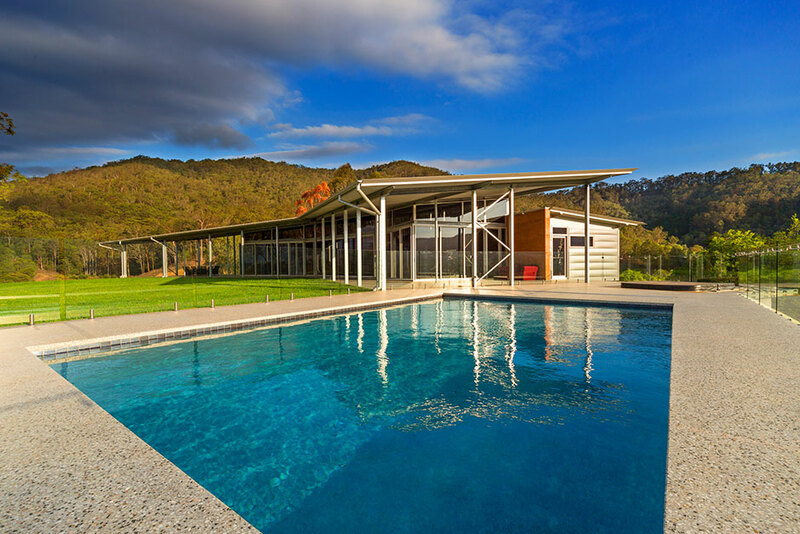 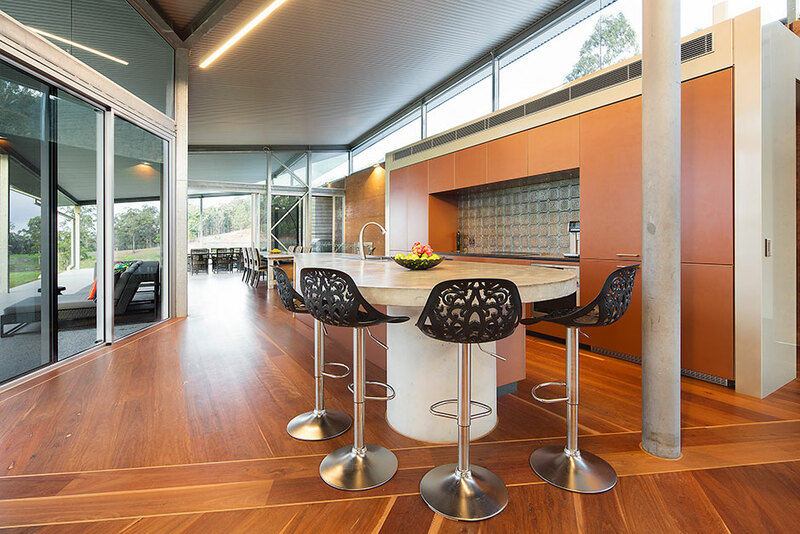 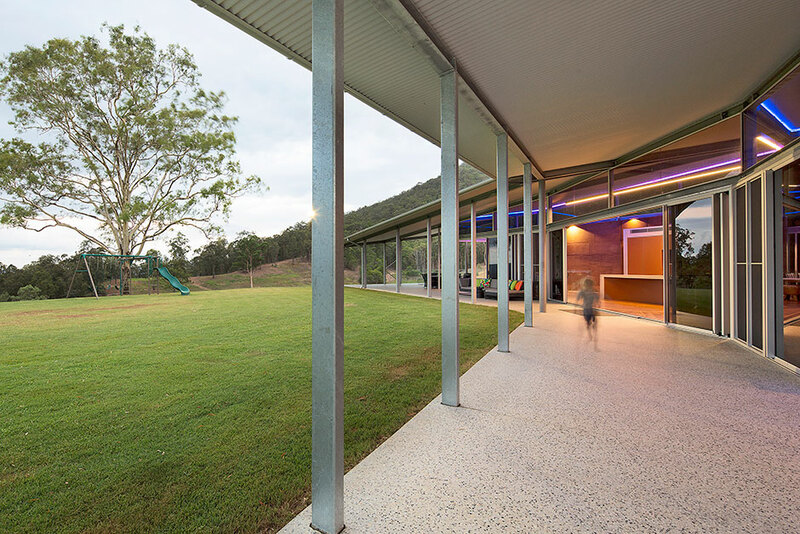 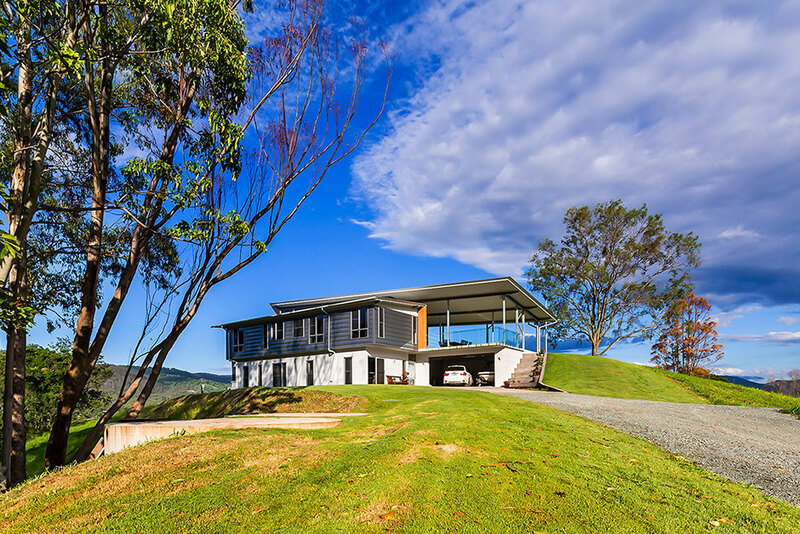 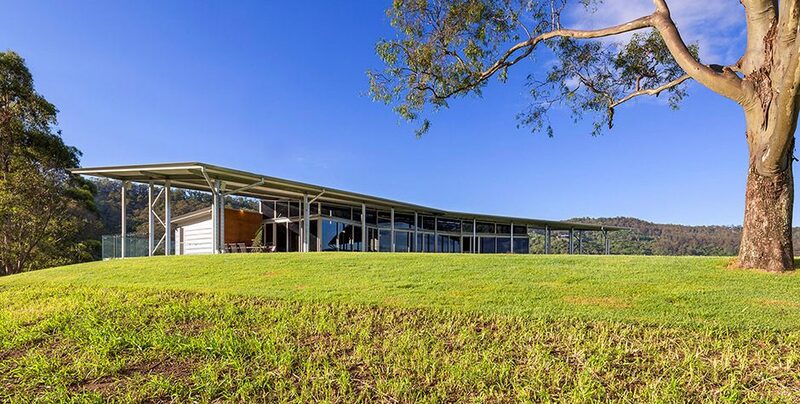 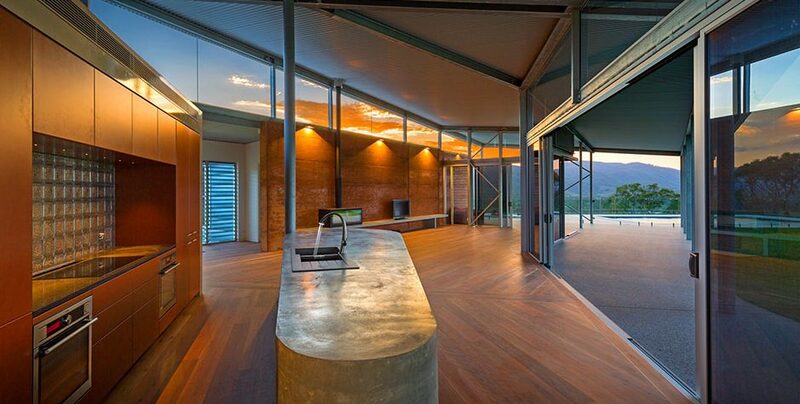 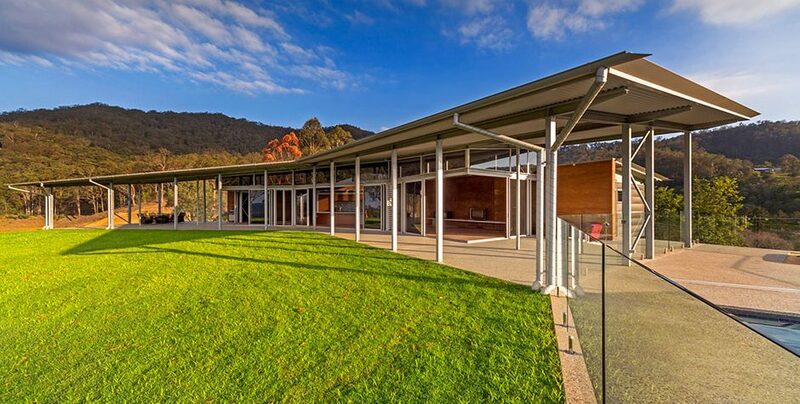 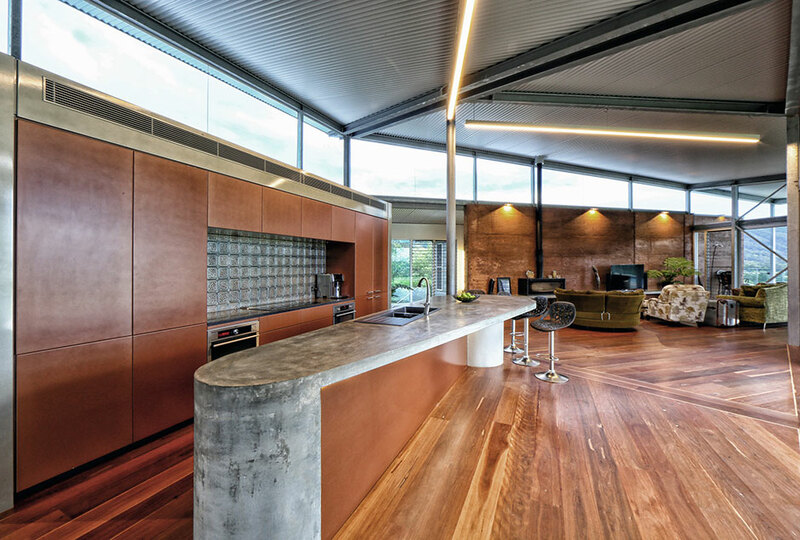 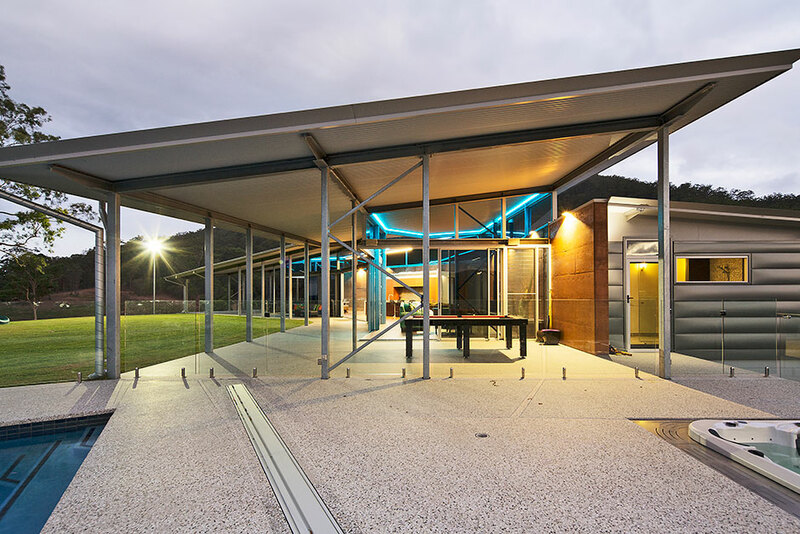 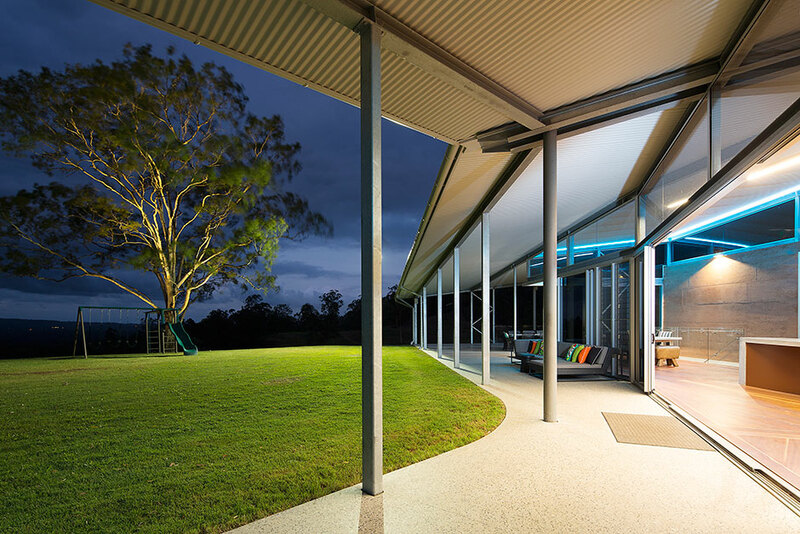 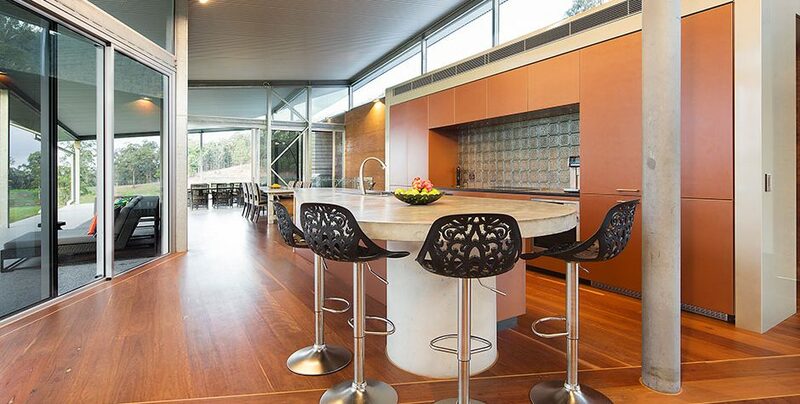 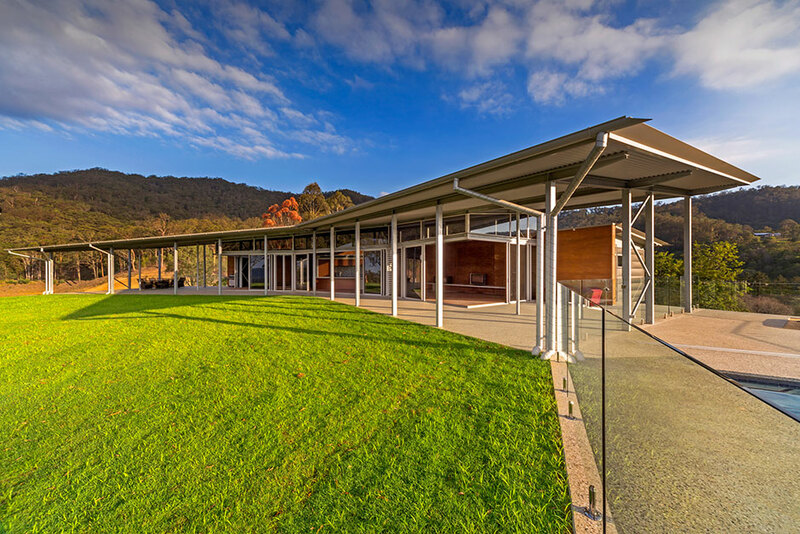 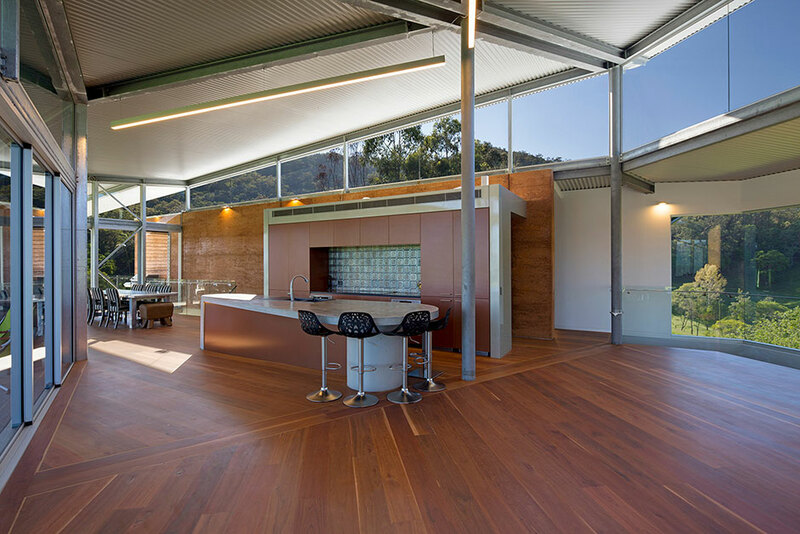 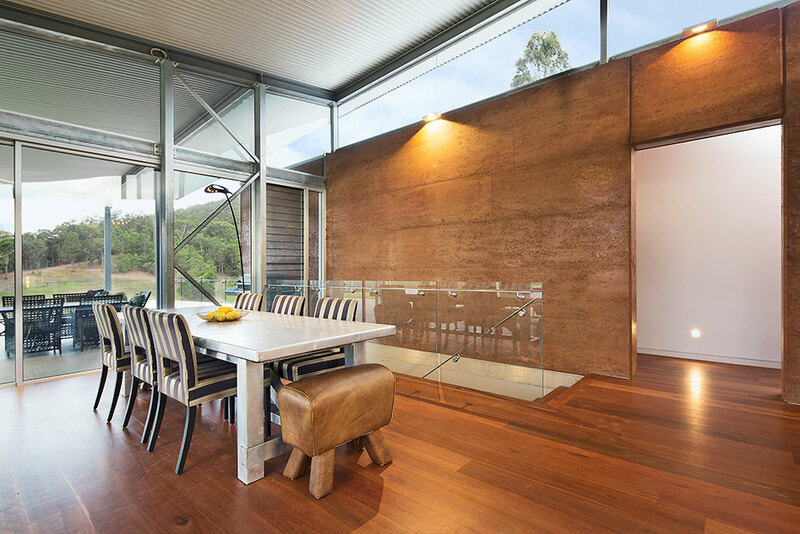 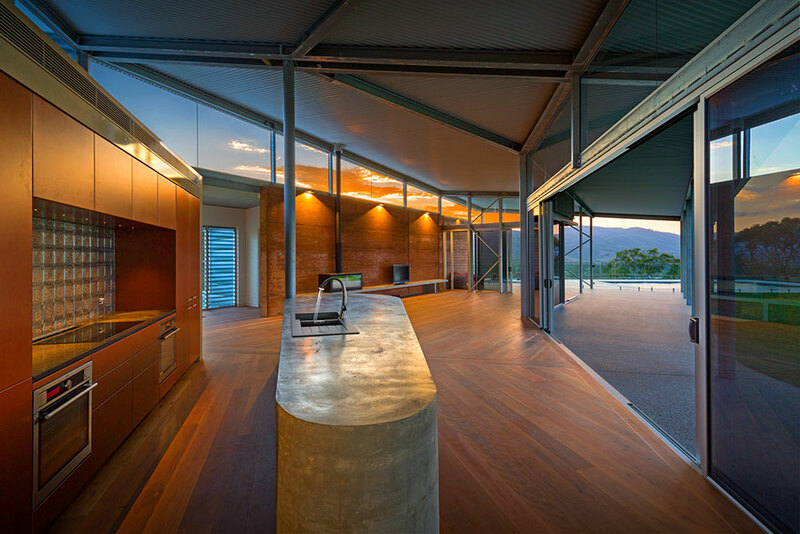 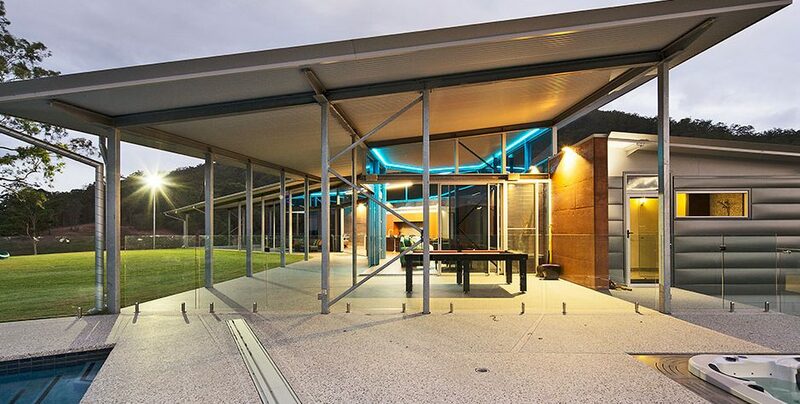 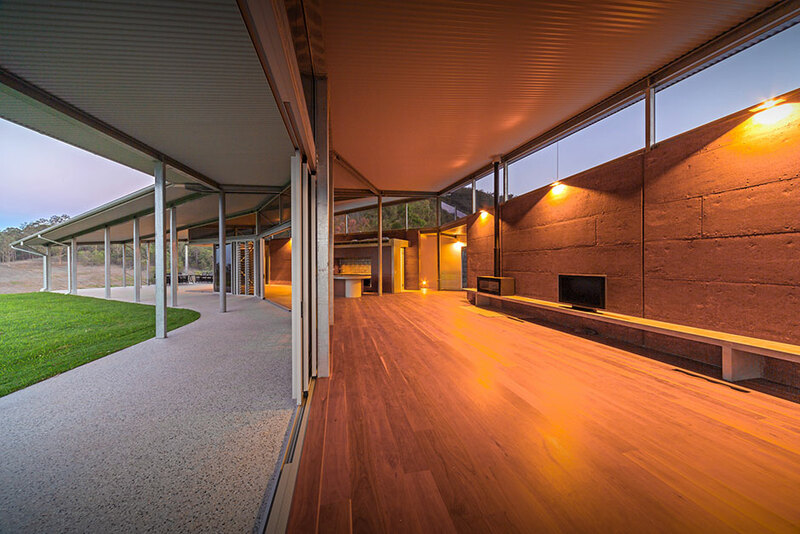 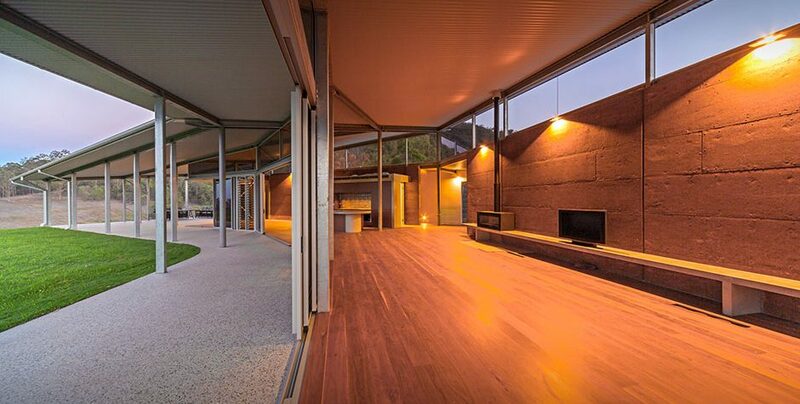 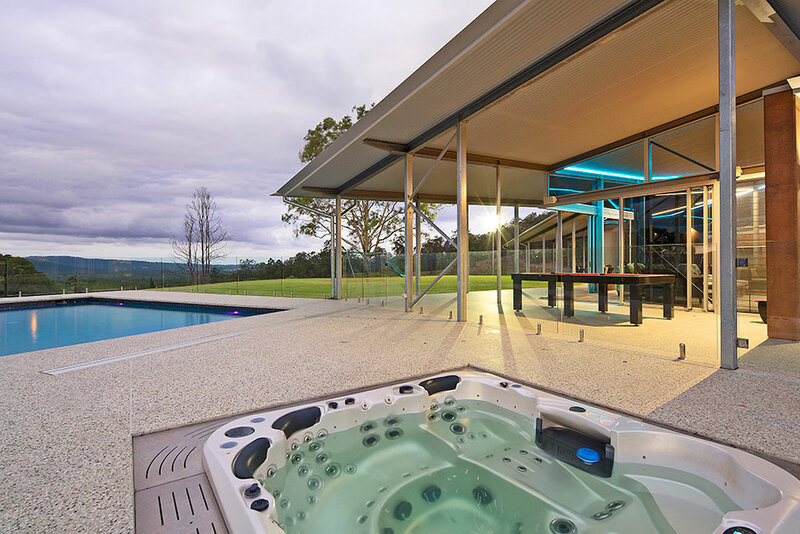 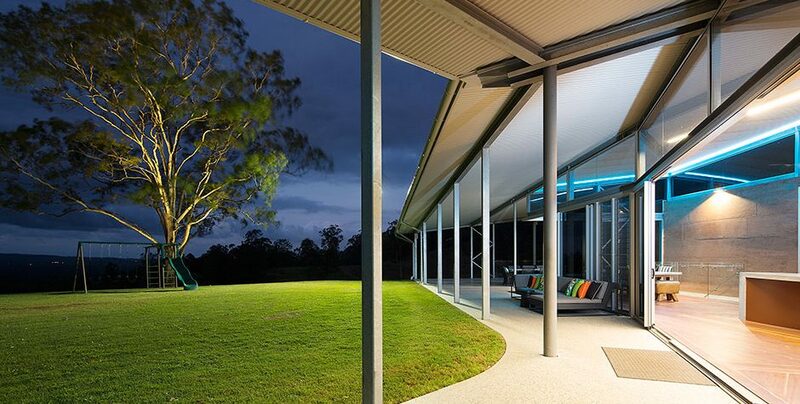 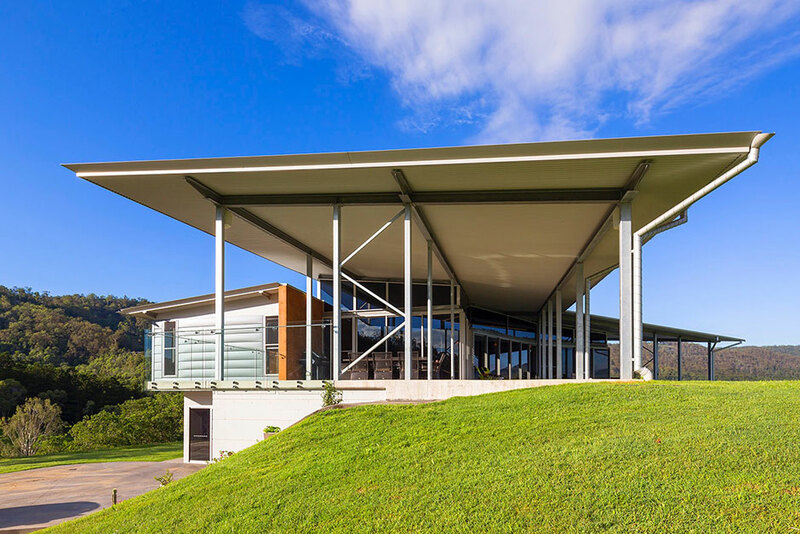 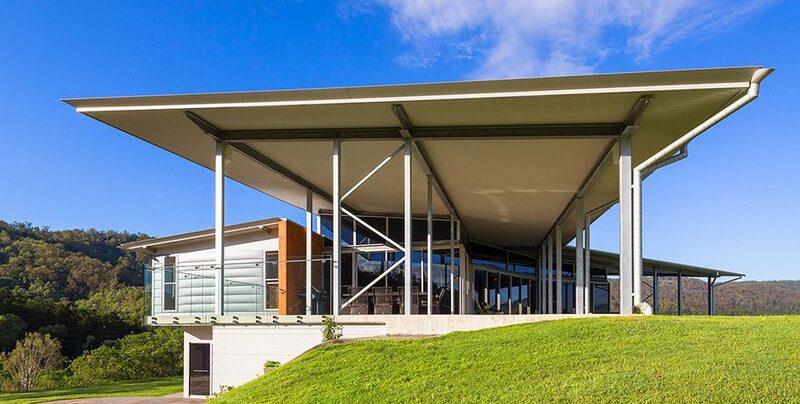 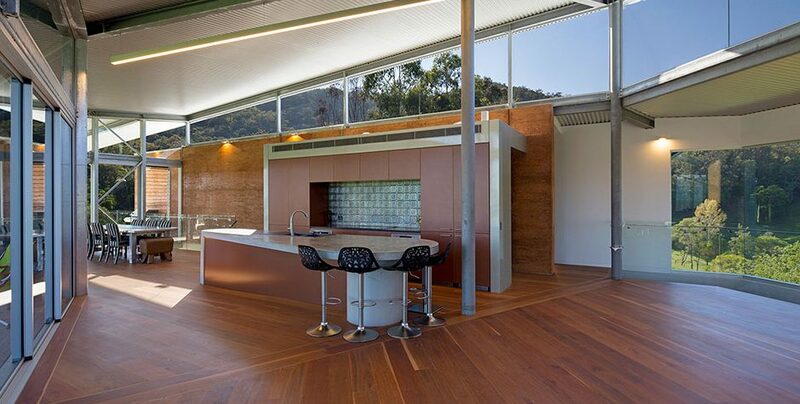 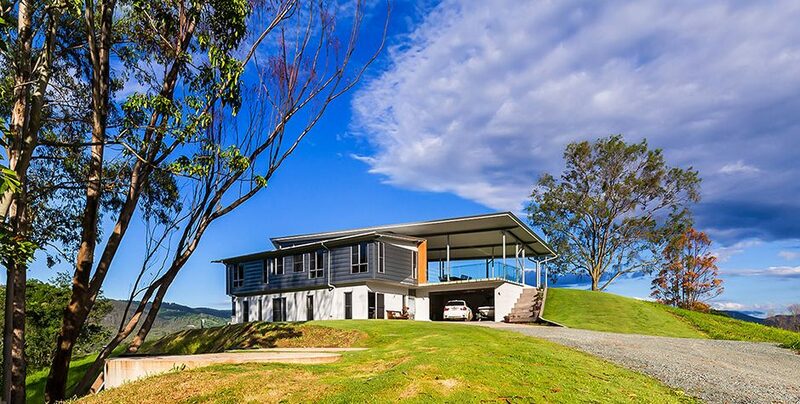 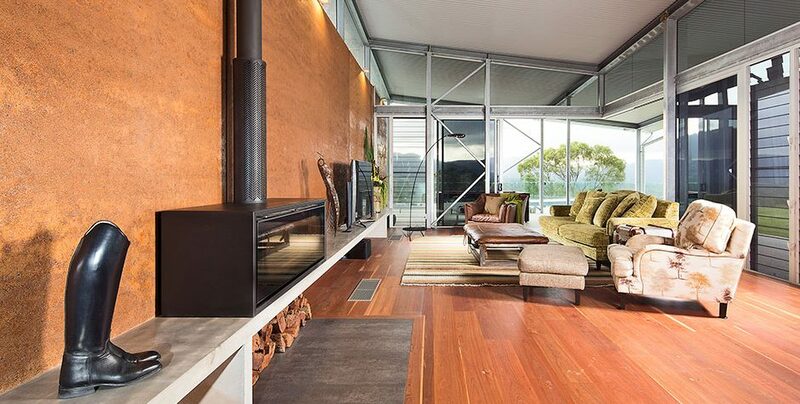 The boomerang-shaped roof, the ARCPANEL 140mm Custom Panel was used to create the floating form above the steel-framed home, harvesting rainwater, while the wide eaves keep the sun off the windows and enhance the floating effect of the roof.